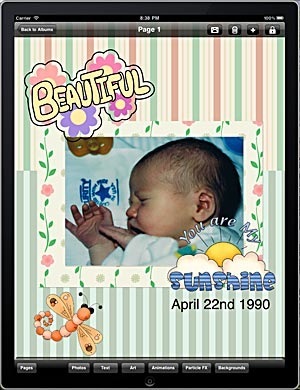 Animations, backgrounds and special effects for your photo albums. 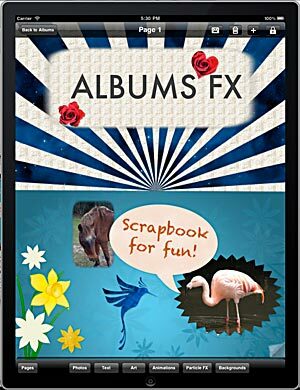 Turn your photos into a masterpiece with Albums FX! 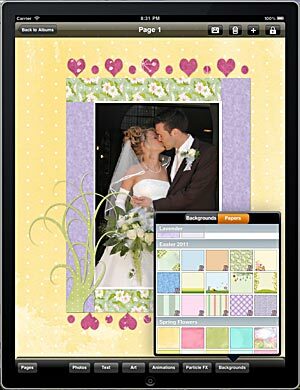 Create scrapbooks, collages and even e-cards, all in an easy to use and exciting way! 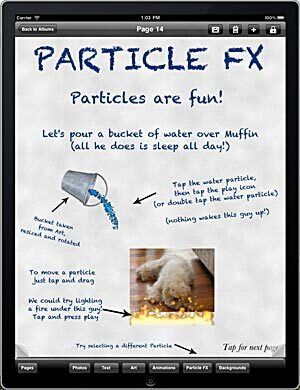 As easy to use as your iPad! Just open the app and you'll feel right at home. In seconds you'll have your first masterpiece (if you can get it back from your kids!). There's even a tutorial album so you can practise. 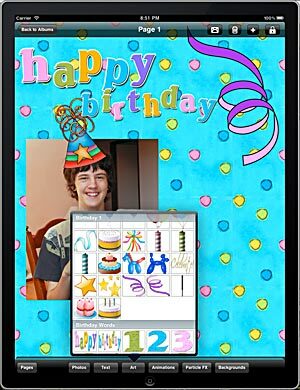 Add photos, clipart, animations and backgrounds with a couple of touches. 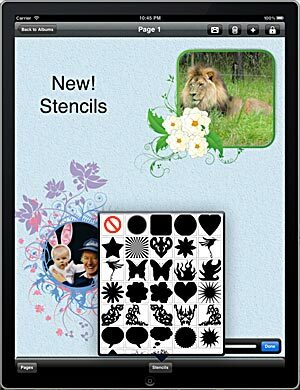 Resize and position them, and even cut out your photos with the new Stencils feature! Let your imagination run wild. With Albums FX, you can create anything! Set fire to your ex or tip a bucket of water over your boss. Anything is possible with Albums FX! Try out Albums FX Lite for FREE! 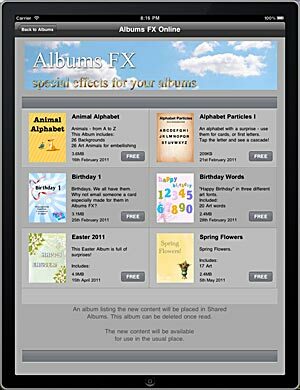 Albums FX Lite has all features, except extra free content on-line and sharing.